Every time we head to a new location, we’ll hunt down novels which are set there. Books help satisfy our curiosity about the place, and deepen our understanding of its culture. 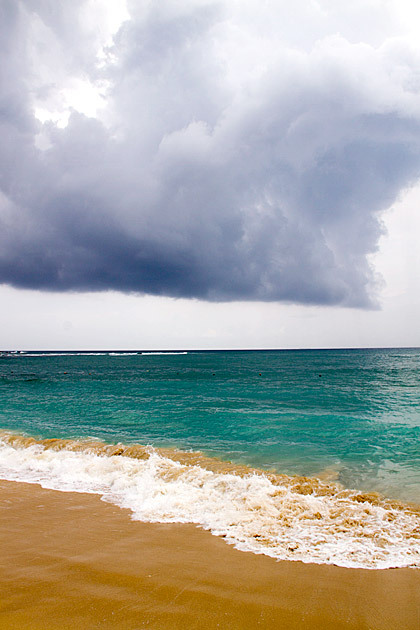 Here’s what we’ve been reading during our three months in Sri Lanka. Michael Ondaatje, also the author of The English Patient, is Sri Lanka’s most famous novelist. 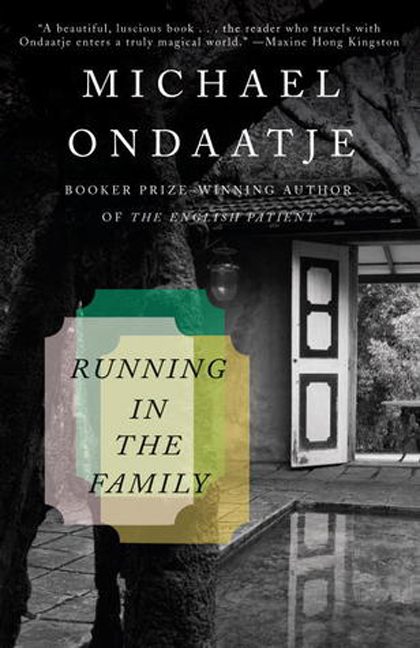 A Burgher, Ondaatje left Sri Lanka when he was just 11, and recounts the experience of returning in this wonderful, lyrical book. Stories of his ancestry mix fact and fiction, poetry and prose, as we follow Ondaatje both into his past and around the island. It’s a book I’ve returned to again and again, as we made our own way through Sri Lanka. The celebrated science fiction author spent his final years in Sri Lanka, both because he loved the island and because he felt the need to escape the anti-gay prejudice of his native England. 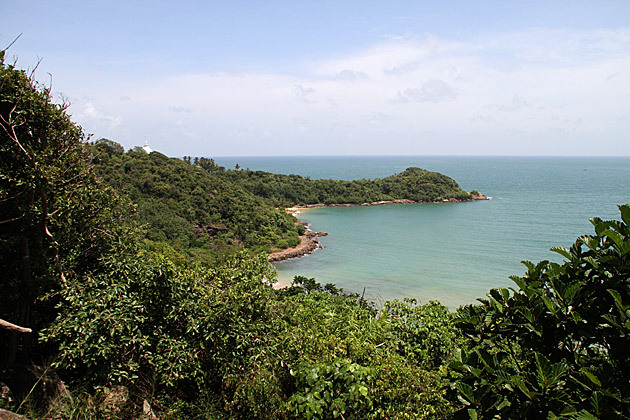 His regard for the country shines through brightly in The Fountains of Paradise which is set in a slightly fictionalized version of Sri Lanka called “Trapobane”. 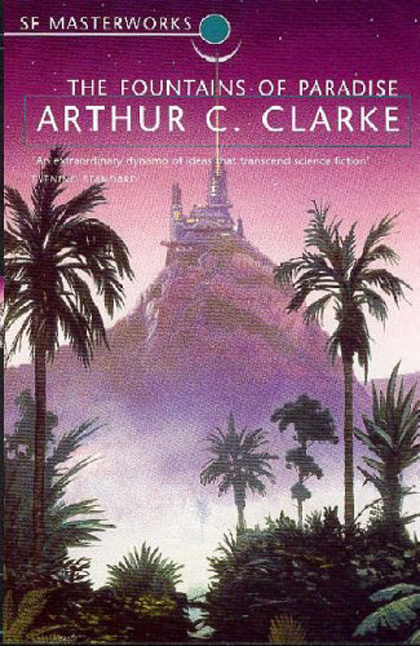 Sigiriya and Adam’s Peak also receive aliases, and play a major part in this beloved sci-fi tale about building an elevator into space. Want a laugh? Then stay far away from this depressing tale of life in the jungles of Sri Lanka! Leonard Woolf spent years in the Ceylon Civil Service and wrote this harrowing novel about a village called Beddigama after returning to England (where he would later marry a young woman named Virginia). His fictional village doesn’t have it easy, and neither do readers. 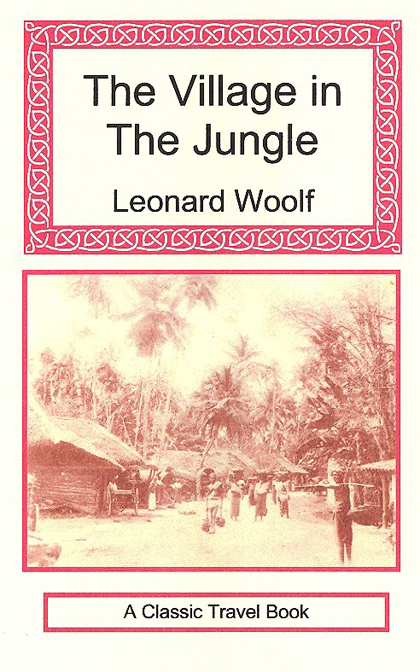 A fascinating and brutally honest depiction of life in the jungle, Woolf’s novel has earned a status in Sri Lanka (if not in the rest of the world) as a treasured classic. Yes, yes: “for children”. 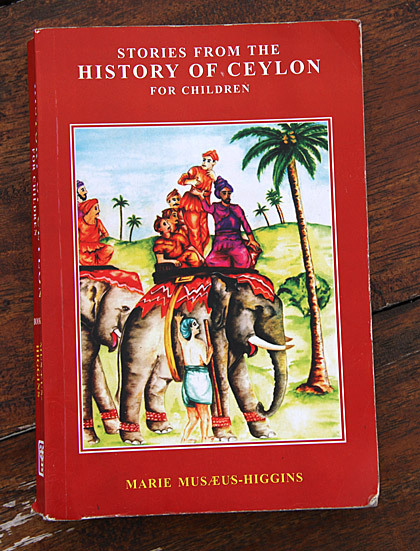 I was also holding a heavy, 600-page tome of Sri Lankan history for adults, but opted for the kiddie stories. And I’m glad I did! This book, originally written in 1910 to help elucidate the history of their country to young girls in school, recounts the most famous Sri Lankan legends. If you’re going to visit a lot of temples and historical places, I could almost call this book required reading. You’re unlikely to find a more comprehensive or easy-to-digest collection of stories. 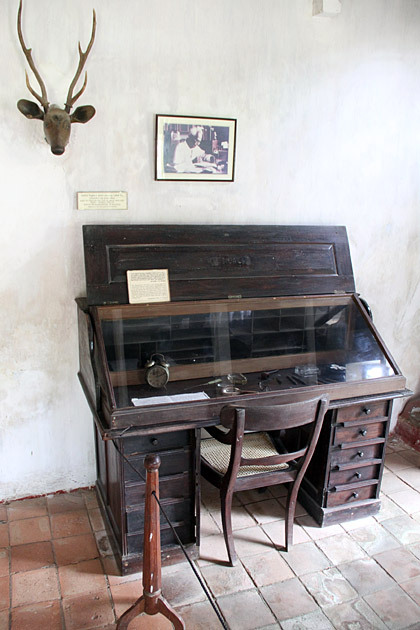 We found the Martin Wickramasinghe’s house and folk museum surprisingly entertaining, so I decided to see if the same would hold true for one of his novels. This small book took me about a couple hours to read. It’s about two trouble-making kids from a rural village and their mischievous escapades. Eventually, they leave town and set up residence on an island named Madol Doova, thought to be infested by cobras and ghosts. 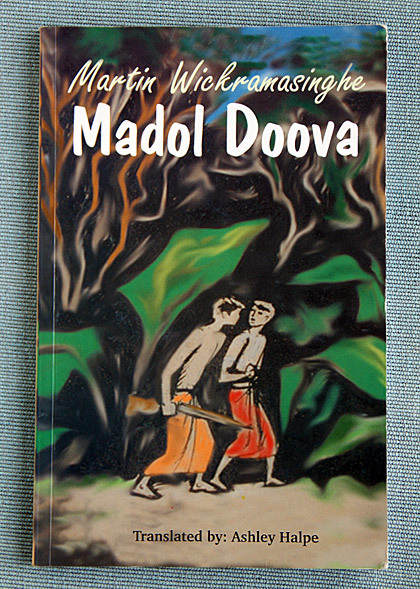 It’s a fun coming-of-age story, ripe with Sinhalese customs and terms — there’s even a useful glossary at the back for words like “Mala yaka” (deadly devil) and “Mahttaya” (Sinhala equivalent of mister). Sri Lanka Reading List Every time we head to a new location, we'll hunt down novels which are set there. Books help satisfy our curiosity about the place, and deepen our understanding of its culture. 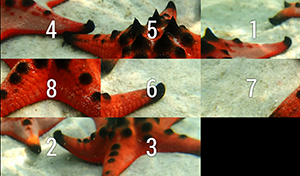 Here's what we've been reading during our three months in Sri Lanka.